April 8, 2019 By This post may contain affiliate links. 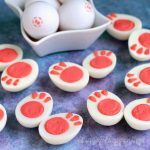 Decorate simple, 3-ingredient, meringue cookies to look like adorable bunny paws. These crunchy, melt-in-your-mouth, Meringue Bunny Feet will surely make Easter a bit sweeter. If you have never made meringues, now is the time to give them a try. 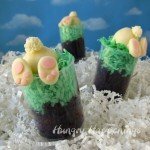 These Meringue Bunny Feet are simple to make and will be such a cute dessert for Easter. Meringues can be made with as few as 3 ingredients: egg whites, cream of tarter, and sugar. They are sweet little puffs that have a crunchy texture but they melt in your mouth. 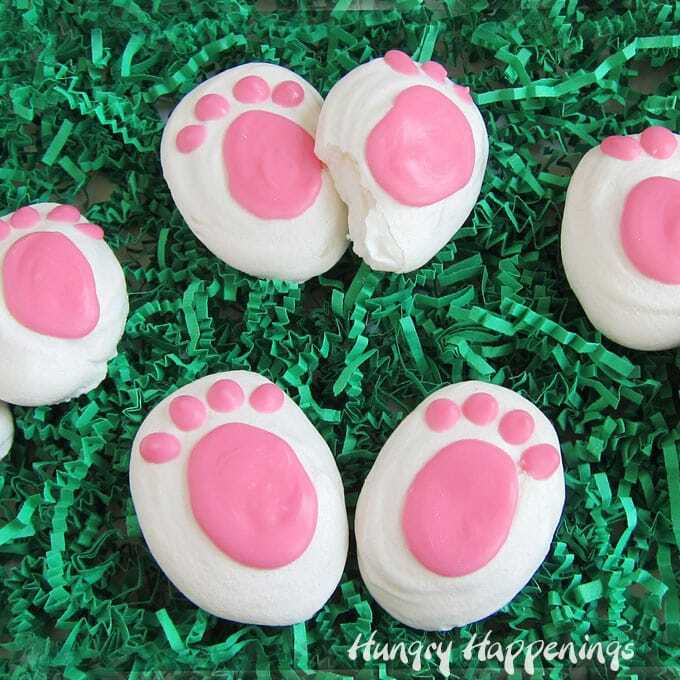 Over the years I have shared instructions and recipes to make Homemade Marshmallow Bunny Paws, Brownie Bunny Butts with Reese’s Cup Bunny Paws, and even Deviled Egg Bunny Paws but this is the first time I’ve used meringues to make a cute Easter treat and am excited with how these Meringue Bunny Feet turned out. 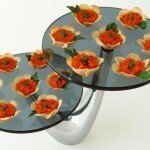 Watch this video to see how they are made. 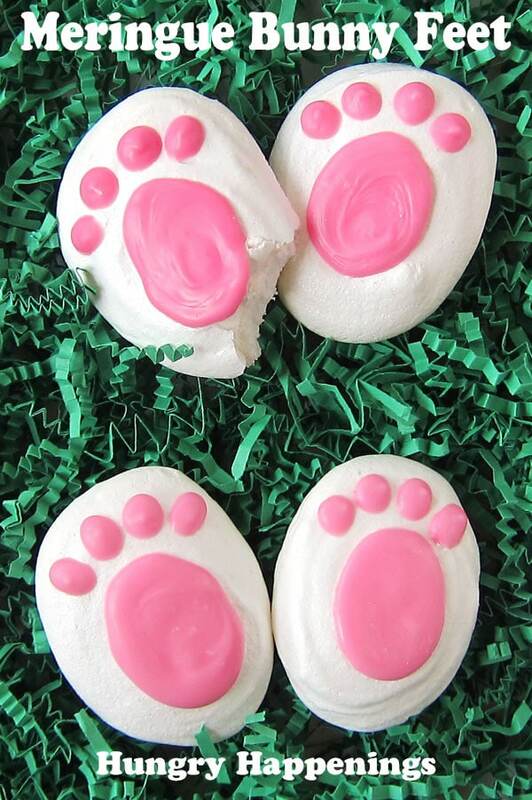 You can find the recipe to make these Meringue Bunny Feet at Dixie Crystals. Before you head over to see the recipe I want to share a few tips for making perfect meringues. Add cream of tarter and beat for 1-2 minutes until soft peaks form. Once soft peaks have formed you will be able to lift your beaters out of the whipped eggs and the egg whites will cling to the beater and form a peak that will not stand up straight. Slowly add about 1 tablespoon of sugar at a time, continually beating the eggs, until the egg whites become stiff and glossy. This can take 3-4 minutes. Now your egg whites will have reached stiff peaks. When you remove the beaters the whipped egg whites will hold a stiff peak. Start with a very clean mixing bowl and beaters. If there is any grease on the bowl or beaters your egg whites won’t whip up as fully. Separate your eggs then allow the egg white to sit at room temperature for about an hour. Room temperature egg whites will whip easier, more quickly, and more fully. Just note that it’s best to separate cold eggs. If you allow the whole eggs to warm up to room temperature the yolk will have softened and it can more easily break when you try to separate it from the egg white. 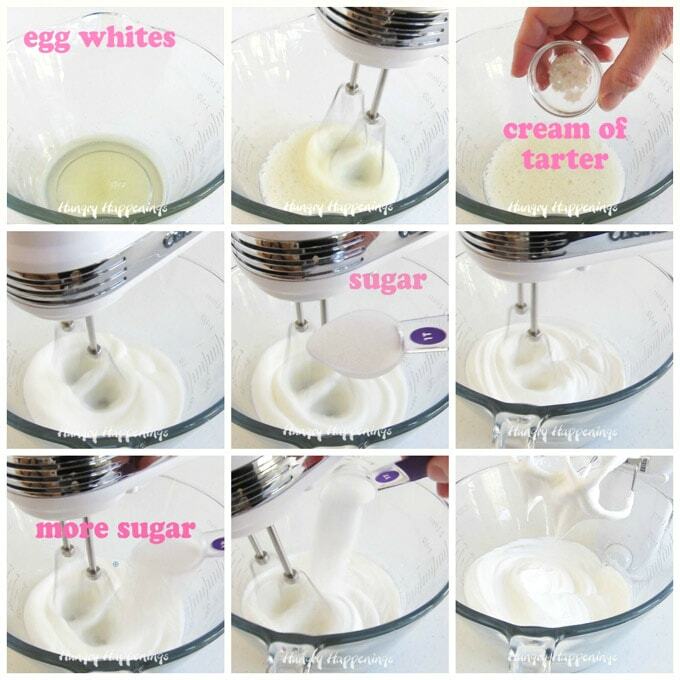 Be sure to beat the egg whites until they become foamy before adding in the cream of tarter. It’s very important to continue to beat the egg whites while, very slowly, adding the sugar. If you add the sugar too quickly the sugar will not dissolve properly. Once your egg whites have turned glossy and form stiff peaks stop beating. Spoon into a pastry bag and pipe your meringues onto a parchment paper lined baking sheet. Bake in a low heat oven and allow the cookies to dry thoroughly. It is best to make meringues on a dry day. If it is humid or raining the cookies may not dry out properly. Spoon the whipped meringue into a pastry bag or large zip top bag. Pipe ovals out onto parchment paper lined baking sheets. Bake in a 250 degree oven until set then turn off the oven and let the cookies dry for an hour before removing from the oven. Pipe 4 little toes and one large oval pad onto each meringue to make them look like bunny feet. Freeze for a minute just long enough for the pink candy melts to harden. 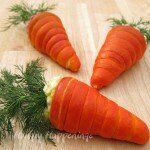 STOP OVER AT DIXIE CRYSTALS FOR THE COMPLETE RECIPE. Oh my cuteness, I have a friend who loves meringues, this would be perfect for her! 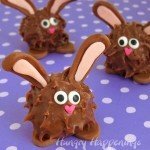 I better hop to it and make them before Easter!! 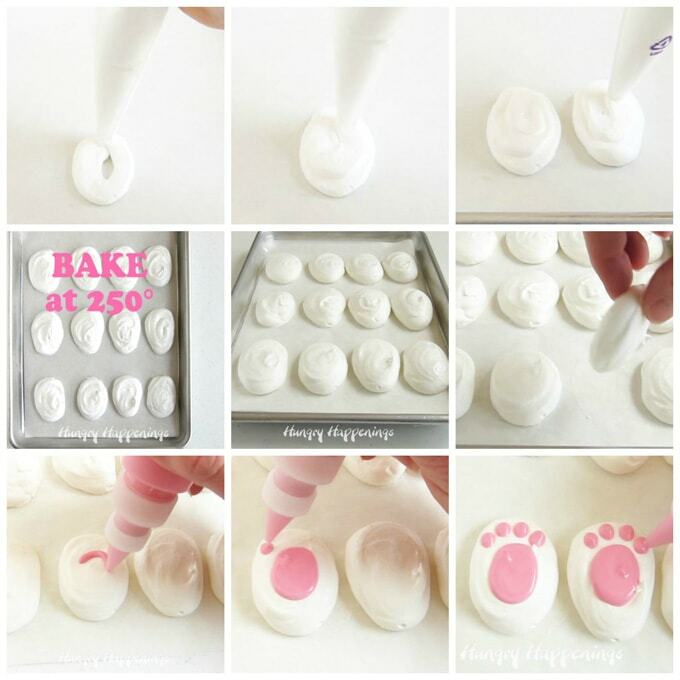 I hope your friend falls in love with these cute Meringue Bunny Feet! Have fun making them for her. I haven’t made meringue but I have wanted to try. Your little pink and white bunny feet are so sweet! Meringues are pretty easy to make and taste so good. I hope you do give them a try sometime. 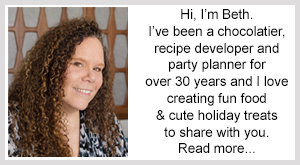 Thank you Beth for your tips for making perfect meringues. I didn’t realize you need to bring the whites to room temperature before beating. 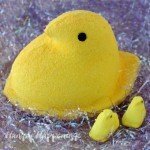 You mentioned beating them until foamy before adding the corn starch? was that cream of tarter instead? Your Bunny Feet are adorable!! Allowing your egg whites to warm to room temperature makes it easier to whip them and you will definitely get more volume. It’s not a must, but it does make for a better meringue. Thanks for letting me know I typed corn starch. Not sure what I was thinking there! I fixed it. Thanks for sharing your experience using the peppermint oil. When I was playing around with this recipe I added some vanilla extract but I didn’t like that it tinted the meringue. I wanted them very white and I didn’t feel like the added flavor was really necessary. Peppermint extract or even almond extract would be nice additions though.